Souliers Martinez's 'Guardamar' sandals are named after a sandy resort in southern Valencia. 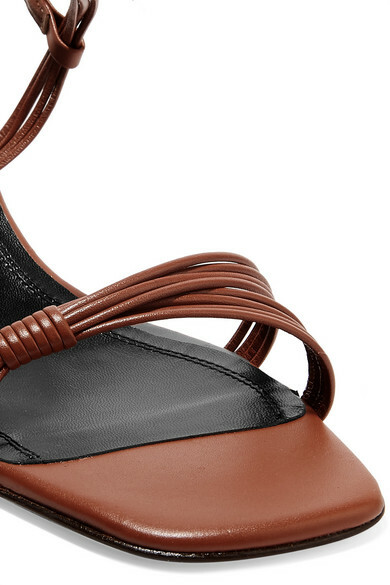 Made in Spain from smooth brown leather, this strappy pair is set on sculpted kitten heels. Style them with neutrals or cropped jeans. 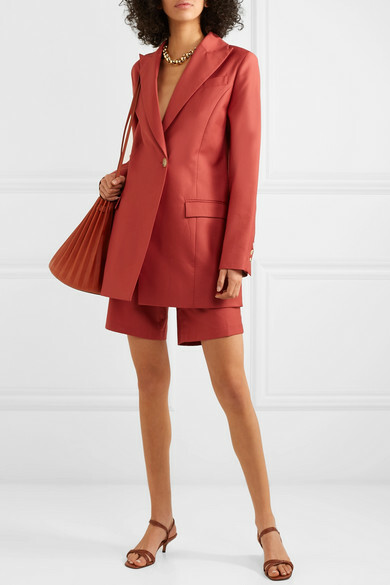 Shown here with: ANNA QUAN Blazer, ANNA QUAN Shorts, Mansur Gavriel Bucket bag, Laura Lombardi Necklace.